in the digital textile printing segment. 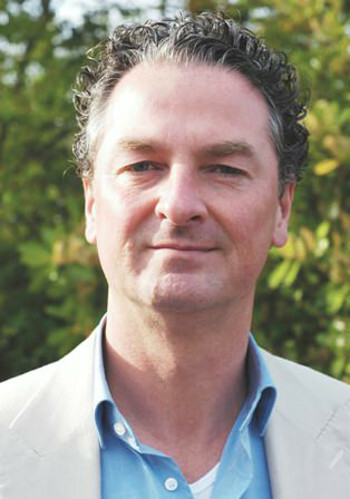 Jacco Aartsen Tuijn has joined Hollanders as CEOAs part of the investment strategy implemented by Hollanders Printing Systems at the start of 2013, the company has announced additional appointments designed to leverage its position in the digital textile printing segment. Jacco Aartsen Tuijn joins the Eindhoven-based manufacturer as CEO, with Rowan Bloemberg taking up the position of marketing manager. Additionally, from 1 May, Renate Besselink will be assisting with direct and channel printer sales. Tuijn brings an experienced track record to the table. He formerly held sales orientated roles at Océ Nederland’s where he worked on key and new accounts and was also responsible for training. Hollanders believe that his in-depth experience of the digital print market will bring valuable traction to its product portfolio which includes the 3.2m ColorBooster XL, the ColorBooster DS double-sided printer and the entry-level ColorBooster 250 which makes its European debut at Fespa Digital 2014. “My role at Hollanders Printing Systems is to elevate and consolidate the company’s position as an important player in the digital textile printing industry, and to boost market penetration of all its products,” stated Tuijn. “The high quality construction and reliability of the ColorBooster family, and the diversity in range that we’re now able to offer, is designed to attract both new and existing customers who want to benefit from dealing with a specialist manufacturer that fully understands this growing sector. Based in Eindhoven, The Netherlands, Hollanders was founded in 2003 by Peter Hollanders, the company’s current CTO. The product portfolio, which is available world-wide, comprises the ColorBooster digital textile printer series, the ColorFix infra-red fixation unit and the ColorWash industrial textile washing machine. All systems are backed up by full service, training, technical support and consumables.